Ok, I don’t want to turn this post into a history lesson but following on from my disastrous visit to Custom House; I’ve since had to choose a different period property in which to study. 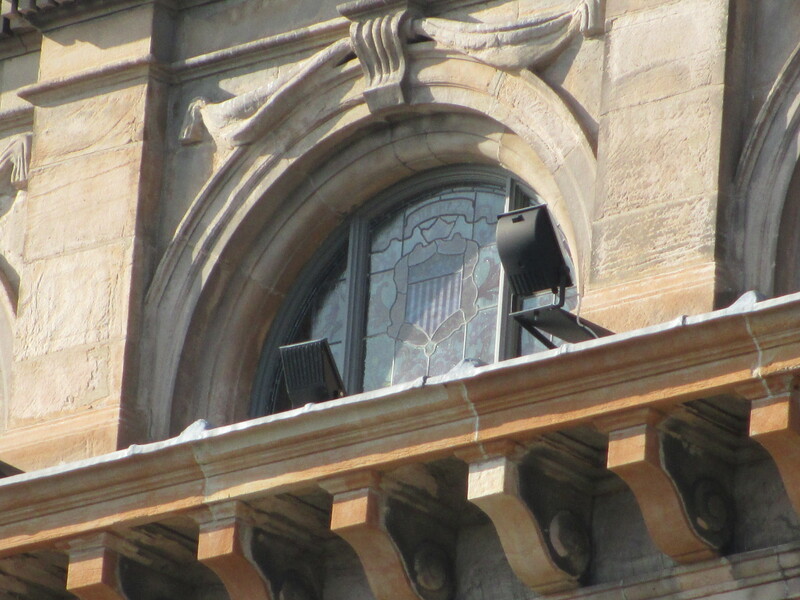 I’m required to research the property’s historical significance and also its architectural and design attributes. Although because of my acute interest in the history of Titanic I really should have chosen this period property to begin with. I’ve chosen the Belfast Harbour Office. I live within a 5 minute walk of this property and it’s only now that I’m giving it the attention it deserves. Yes, I’m ashamed of myself. Unfortunately a number of the columns at the front have been covered with advertising signage but I’m guessing you wouldn’t have noticed that if I hadn’t pointed it out. Doh! 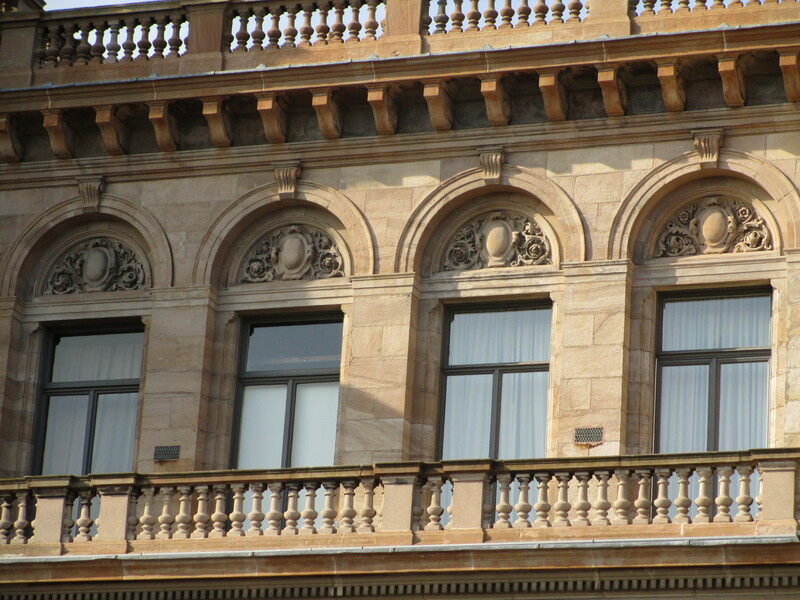 This property was built in 1854 and is Victorian, however it was built in the Italian palazzo style. 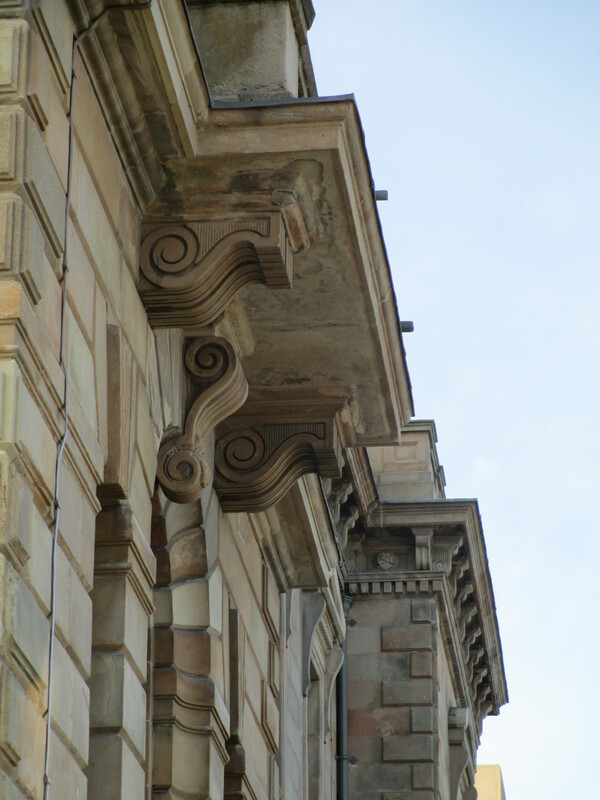 I’m not going to get too bogged down in architectural features and theory today. This is going to be light and breezy! I haven’t had the opportunity to take photos of the interior yet; hopefully I’ll be doing that next week. 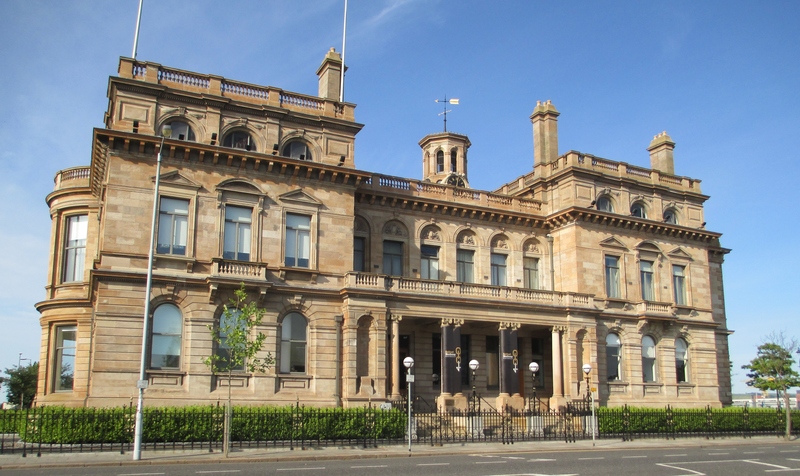 It has been noted that the Belfast Harbour Commissioners (of which the Harbour Office is its headquarters) was originally responsible for the running and development of Belfast Port. That’s obviously a very basic explanation of the Harbour Office’s role but as I said, we’re keeping it nice ‘n’ simple today. 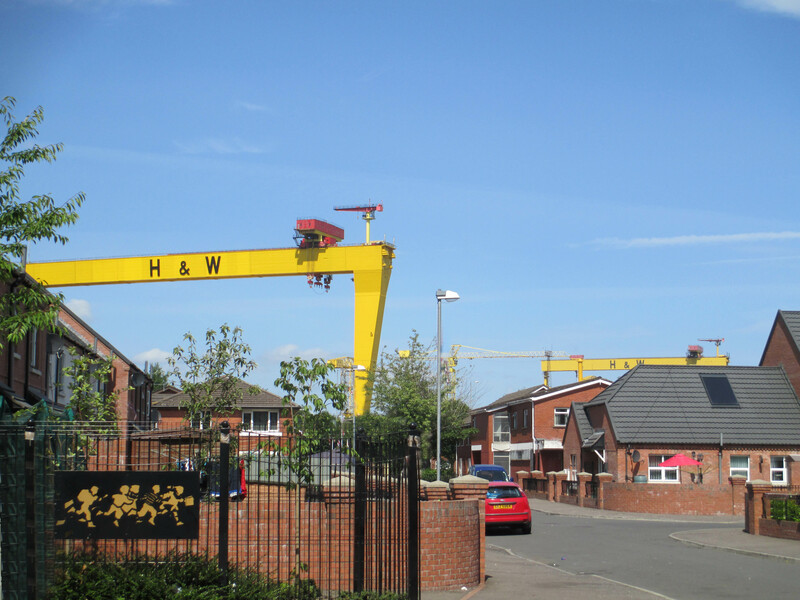 And obviously I can’t talk about the Harbour Office without mentioning Harland & Wolff, the great shipbuilders of Belfast and the creators of Titanic. 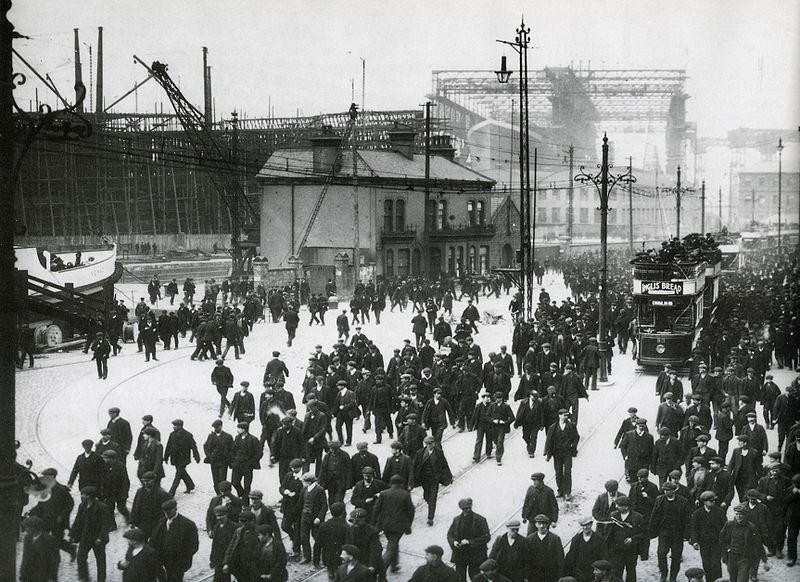 This is an iconic image of Harland & Wolff (at clocking out time) – it illustrates the booming shipbuilding industry in Belfast in the early 1900s and the important role that Harland & Wolff played regarding employment and commerce. The ship being built in the background is the one and only Titanic. 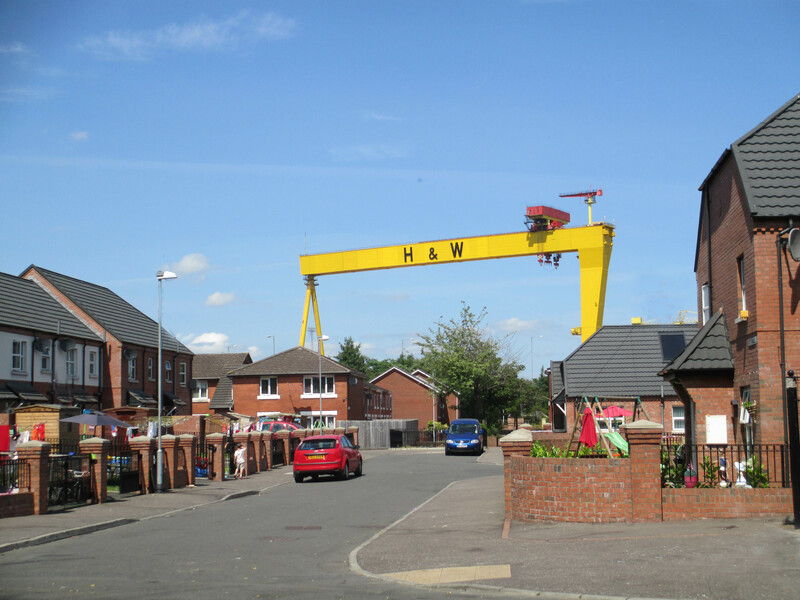 Whilst Harland & Wolff is still very much in business today its focus has shifted from shipbuilding to structural engineering; however the Samson and Goliath shipbuilding cranes that were built in 1969 and 1974 respectively are now a dedicated historical monument and dominate the Belfast skyline. I took these photographs today from a residential area on the periphery of Belfast city. The visual impact of these cranes can only truly be appreciated in person but I hope these photographs convey their dominating presence. It looks as though I’ve superimposed the cranes into the photo but trust me, these photographs are a true reflection of the view from this street in Belfast. Amazing. Hi Anita, this is interesting, I am also am very keen on on the subject of Titantic! Looks like this will be a good one for the module! Hey Melissa; how did I not see your comment before now??! The Titanic story is pretty interesting, isn’t it? For so many different reasons too. How are you getting on with the lighting module?